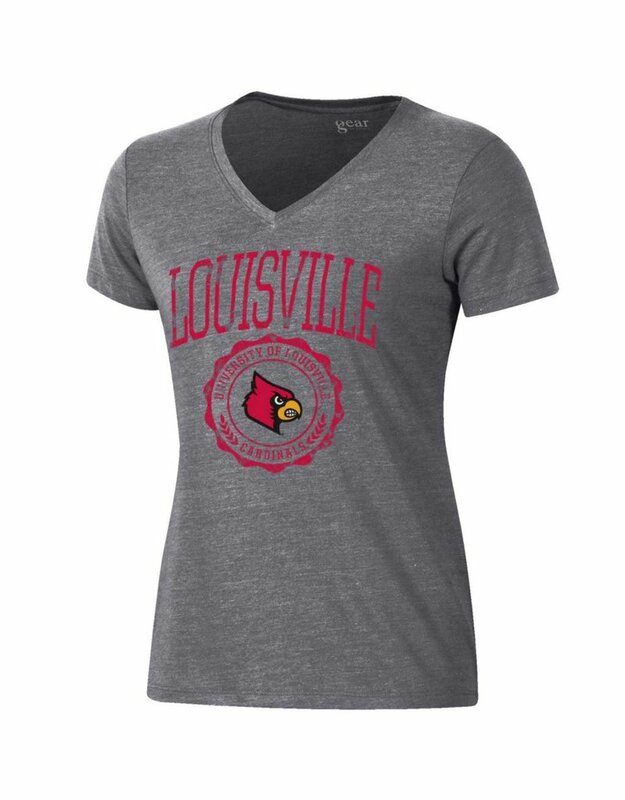 This women's tri-blend v-neck campus t-shirt feels as good as it looks. Offering a feminine relaxed fit, this t-shirt features short sleeves, a mix of fabrics that make it incredibly soft and moves with you, a v-neckline, and a tagless collar. Add the perfect touch of school spirit with the school name printed on the front.